This entry was posted in Visiting Mentors on July 16, 2013 by Thomas Culp. J. Craig Venter, Ph.D., is regarded as one of the leading scientists of the 21st century for his numerous invaluable contributions to genomic research. He is Founder, Chairman, and CEO of the J. Craig Venter Institute (JCVI), a not-for-profit, research organization with approximately 300 scientists and staff dedicated to human, microbial, plant, synthetic and environmental genomic research, and the exploration of social and ethical issues in genomics. Dr. Venter is also Founder and CEO of Synthetic Genomics Inc (SGI), a privately held company dedicated to commercializing genomic-driven solutions to address global needs such as new sources of energy, new food and nutritional products, and next generation vaccines. Dr. Venter began his formal education after a tour of duty as a Navy Corpsman in Vietnam from 1967 to 1968. After earning both a Bachelor’s degree in Biochemistry and a Ph.D. in Physiology and Pharmacology from the University of California at San Diego, he was appointed professor at the State University of New York at Buffalo and the Roswell Park Cancer Institute. In 1984, he moved to the National Institutes of Health campus where he developed Expressed Sequence Tags or ESTs, a revolutionary new strategy for rapid gene discovery. In 1992 Dr. Venter founded The Institute for Genomic Research (TIGR, now part of JCVI), a not-for-profit research institute, where in 1995 he and his team decoded the genome of the first free-living organism, the bacterium Haemophilus influenzae, using his new whole genome shotgun technique. 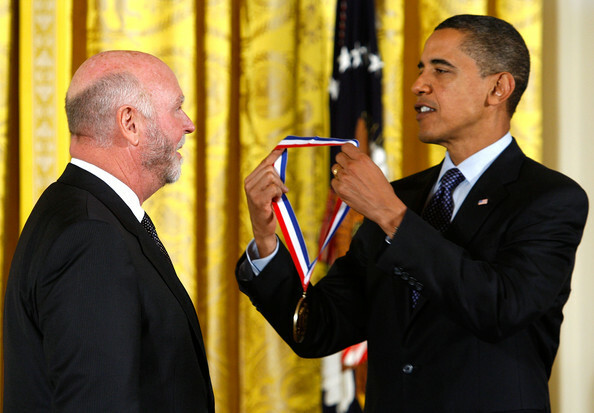 In 1998, Dr. Venter founded Celera Genomics to sequence the human genome using new tools and techniques he and his team developed. This research culminated with the February 2001 publication of the human genome in the journal, Science. He and his team at Celera also sequenced the fruit fly, mouse and rat genomes. Dr. Venter and his team at JCVI continue to blaze new trails in genomics. They have sequenced and analyzed hundreds of genomes, and have published numerous important papers covering such areas as environmental genomics, the first complete diploid human genome, and the groundbreaking advance in creating the first self- replicating bacterial cell constructed entirely with synthetic DNA. Dr. Venter is one of the most frequently cited scientists, and the author of more than 250 research articles. He is also the recipient of numerous honorary degrees, public honors, and scientific awards, including the 2008 United States National Medal of Science, the 2002 Gairdner Foundation International Award, the 2001 Paul Ehrlich and Ludwig Darmstaedter Prize and the King Faisal International Award for Science. Dr. Venter is a member of numerous prestigious scientific organizations including the National Academy of Sciences, the American Academy of Arts and Sciences, and the American Society for Microbiology.